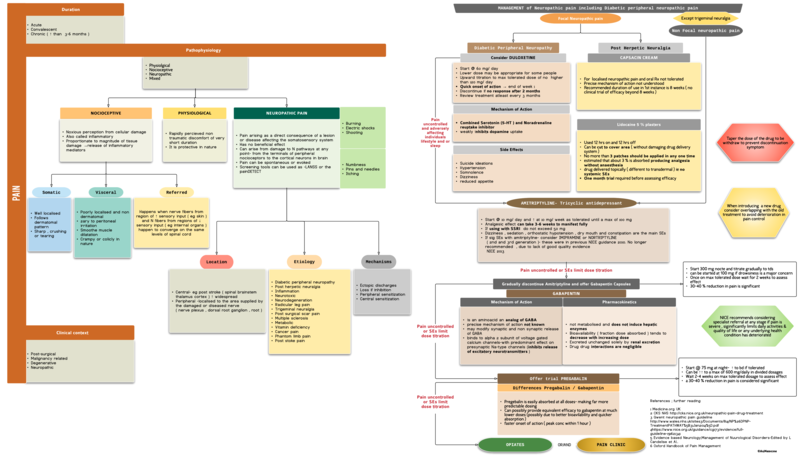 The Gwent guideline on management of Neuropathic pain has been incorporated in the chart on neuropathic pain. The pharmacological management -the role of agents as amitriptyline, gabapentin, pregabalin, and duloxetine has been discussed. A simple classification of pain is presented to aid understanding.